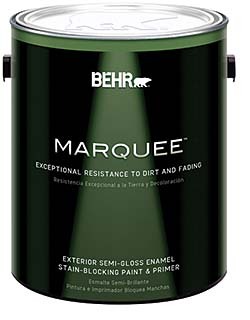 Marquee Exterior Paint and Primer can resist rain as early as 60 minutes after application, without surfactant leaching, run off or visible film defects, according to the company. It is low VOC and has specialized polymers in the 100 percent acrylic formula to provide a tough, non-stick surface. Available in flat, satin enamel and semi-gloss.